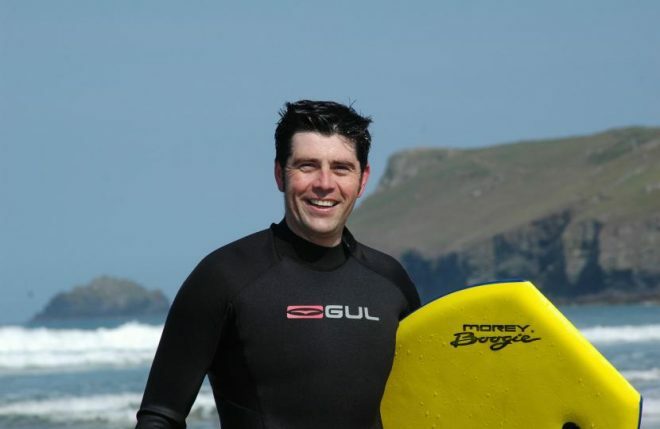 A Cornish MP has revealed that legislation which could better protect beaches and rivers across the UK from pollution is ‘highly likely’ to be incorporated into the UK government’s new Environment Bill. Scott Mann, MP for North Cornwall, initially proposed the Private Members Bill back in July through a Ten Minute Rule Motion, which gained the support of a number of cross-party MPs. It suggested that better powers should be given to a governing body to have more control over fines for water companies for polluting beaches and rivers, due to combined sewer overflows. Scott said: “The objective of the bill was to place an obligation on water companies to deal with this problem and try to mitigate it by providing sustainable solutions to surface water run-off, so the system isn’t constantly overrun with surface run-off and sewage. “For example, we’ve got some of the best blue flag beaches in the whole country in north Cornwall. It’s important that we retain that – we’re in a high-level tourist area and it’s huge for our economic output for Cornwall. Now Scott says that while it must be recognised that continued investment and commitment has been made by the industry, there is still a long way to go – and the possibility of adding this legislation to the Environment Bill could help tackle the issue at source. As a charity committed to protecting our seas and beaches, Surfers Against Sewage believe the Bill has the potential to provide a complete package of water quality protection, helping to deliver the final steps to relieve pressure on the sewage network and driver faster changes within a localised problem. While water quality has improved significantly over the years, fluctuations and risks can occur on a daily, hourly or even minute-by-minute basis. And it was thanks Surfers Against Sewage’s Safer Seas Service that Scott was able to utilise this data to support this motion. The service aims to help cut the number of illness incidents taking place as a result of polluted bathing waters, by directing people to unaffected waters. But, new for 2019, SAS is investing in the service to create the most sophisticated real-time water quality alert system in the world, to include more locations and enable the user to challenge water companies that consistently pollute our coastlines. While the app is set to launch in May 2019, you can still use the online map, which remains functional and continues to provide real-time water quality information at 333 beaches across England and Wales. « Let’s Unwrap Where We Live from Single-Use Plastic!